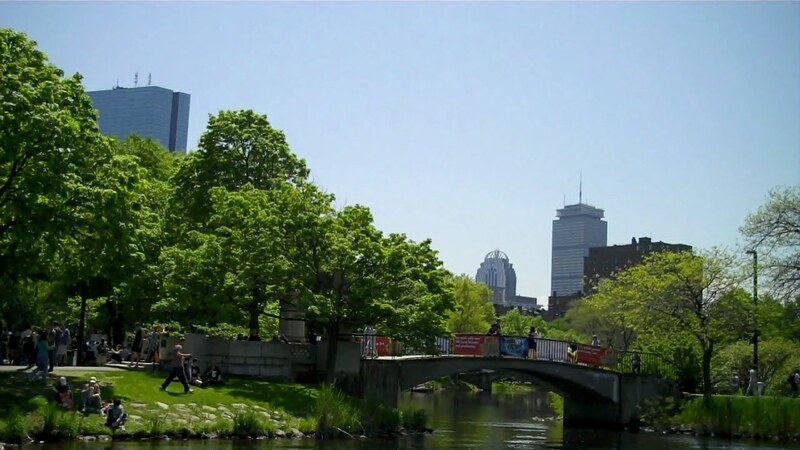 On a beautiful springtime Saturday afternoon, Little Miss and I headed into Boston for the day. 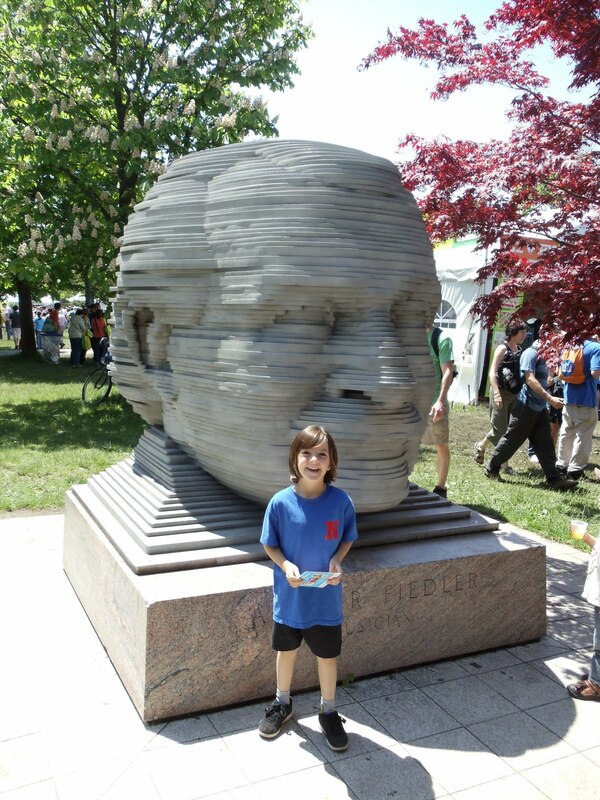 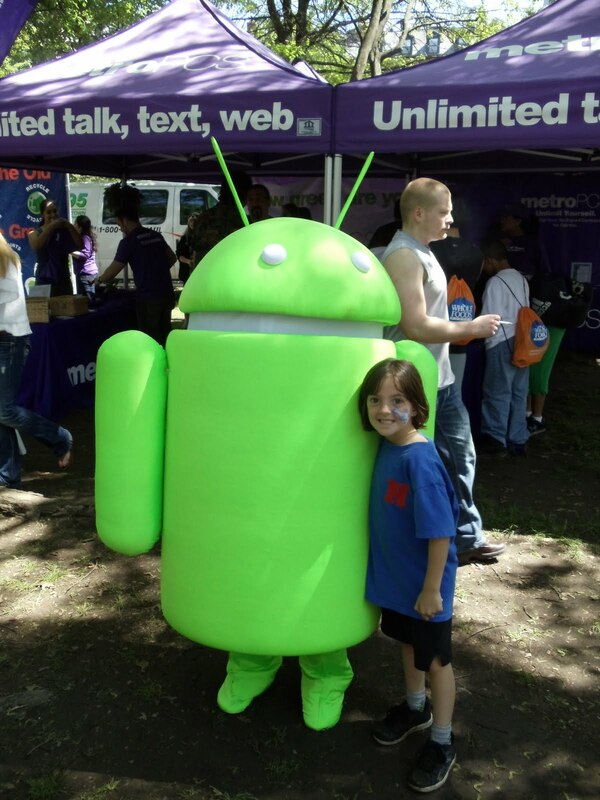 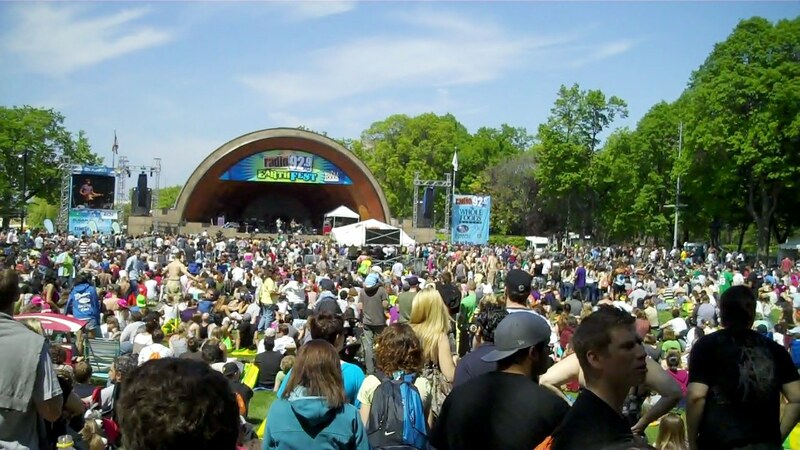 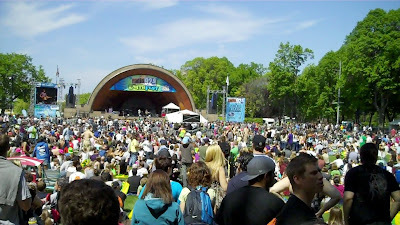 It wasn’t an average Saturday, it was the day Earthfest Boston was happening. 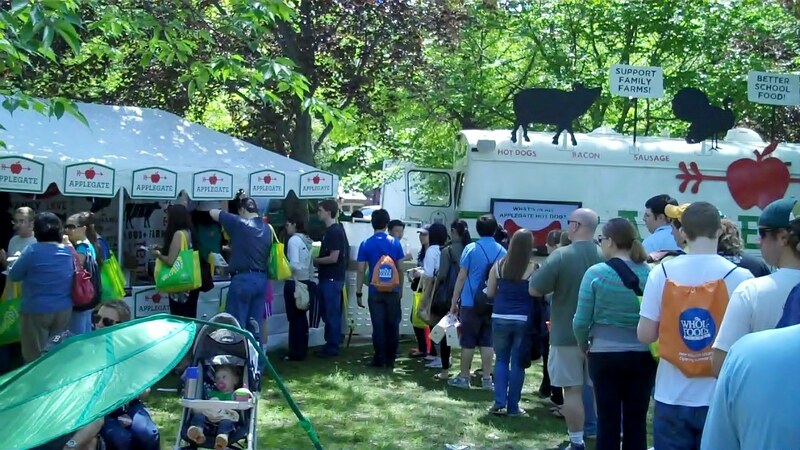 Earthfest features lots of bands, kids activities, environmental displays and lots of good, wholesome food. 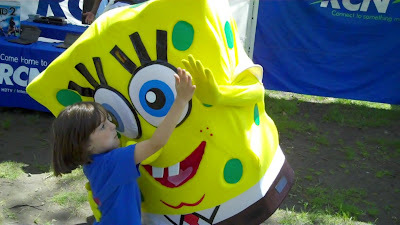 …and even got to give Sponge Bob a high five! 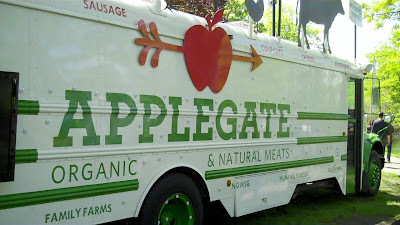 Despite all the fun for Little Miss, the real reason we came to town was to see the Applegate Farms Bio Fuel Bus. The bus travels around the country, powered by bio fuel, to evangelize Applegate Farms’ tastiest organic meat treat: all beef, organic, grass fed HOT DOGS! 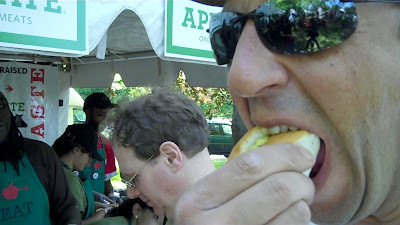 A public relations person from Foodminds contacted me and asked me to check out the event- they even promised to send me some free hot dogs! 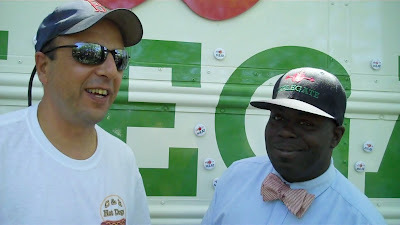 I found Del Townsend, the bio fuel bus driver and chief hot dog man for the Applegate Farms tour and he gave me the low down on the hot dogs. They’re nitrate free, made from grass fed, organically raised, trimmed, chuck and round beef (no hooves and ears in these hot dogs). 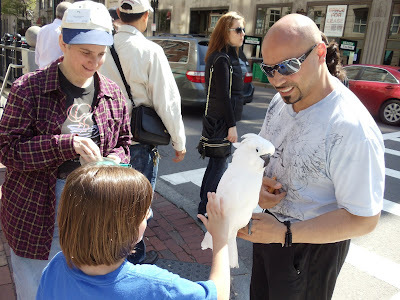 We got in line and waited our turn. 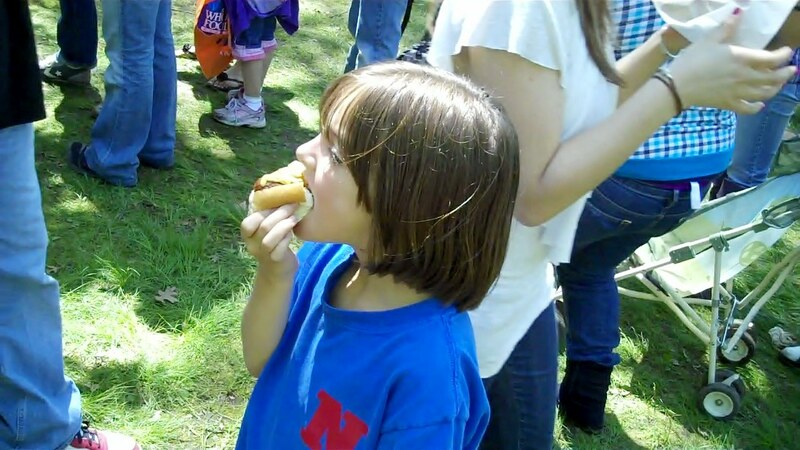 I have been trying to eat healthier (I’ve lost over 30 pounds since January), so the idea of a healthy hot dog intrigued me. 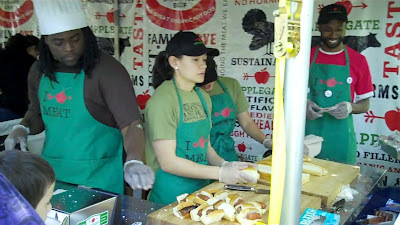 The crew was churning out hot dogs by the thousands. They even gave us some free tee shirts. 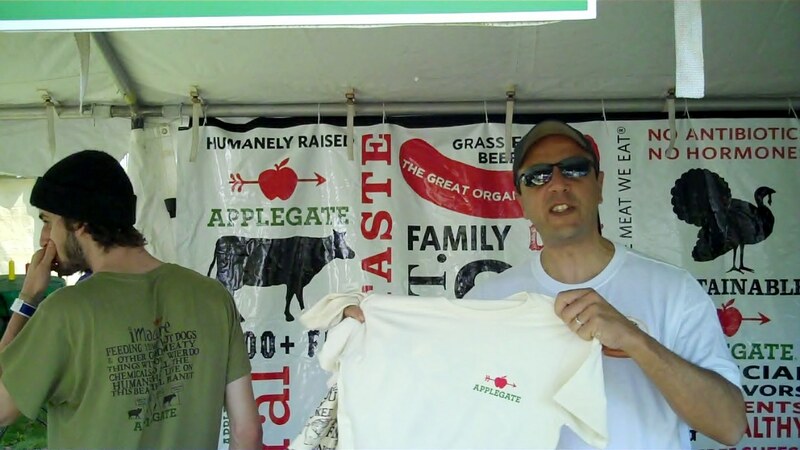 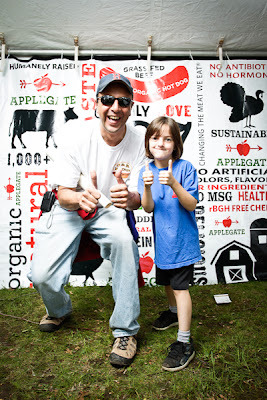 The Applegate Farms Hot Dogs were DELICIOUS and they DEFINITELY get TWO THUMBS UP!